Hello hello everyone! Happy Wednesday! How was your day? I hope it’s a good day! Last time, I mentioned this K-drama. Since, most of the article said that Laughter in Waikiki will release their season 2. 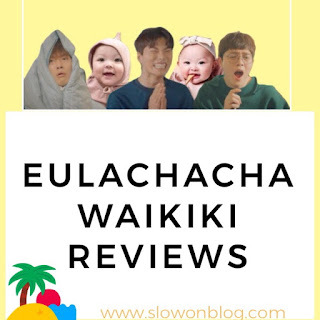 So, I want to tell you the Laughter in Waikiki season 1 that I found really gewd and refreshing. I got a bit sad because, the Waikiki season 2 will only starred Lee Yi Kyung from the Waikiki season 1 and he will have small part in the season 2. I want the three of them (Dong Gu, Jun Ki and Du Shik) to be starred in season 2. Even though I know it’s nearly impossible. Well, now, I will give you the review of Laughter in Waikiki season 1 that was released 5 February 2018, starring Kim Jung Hyun as Kang Dong Gu, Lee Yi Kyung as Lee Jun Ki and Sin Seung Won as Bong Du Shik. 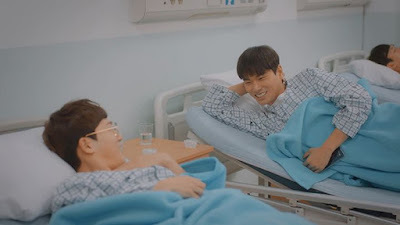 I really amazed with their act especially for the best actor from Laughter in Waikiki, Jun Ki. He is so into his character that makes me always laugh every time I see him doing the ‘gwenchana’ scene even after watching it several times; I still laugh with his act in the car, Rebecca. For the director of this drama, thank you for giving us this simple line of drama that is really good, refreshing and fun. I think I am not the only one who says this drama is the best but the other K-lovers will do the same like me. I need to watch more comedy drama like this. I like drama that have funnier scene than the romance scenes. Laughter in Waikiki has a lot of name that sometimes I got confused which one should I use. Waikiki, Laughter in Waikiki, Go Go Waikiki, Woohoo Waikiki or Eulachacha Waikiki. Well, this is doesn’t matter because the drama is super-duper recommended for you ‘all. Waikiki has 20 episodes in total, actually it only has 16 episodes but due to its popularity the producer extended it to 20 episodes. Kang Dong Gu has a dream to become a movie director but unfortunately he always had a bad luck. Lee Jun Ki wanted to become an actor just like his father’s job. Bong Du Shik wanted to become a scenario writer. Three of them run the guest house, Waikiki in Itaewon, South Korea. Their life is not as easy as they wanted. The run out of money that making their guest house facing bankruptcy and then a mysterious baby and single mother appear at Waikiki. While those entire things happen, their life began to change day by day.